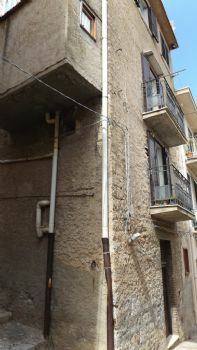 Two town houses united as one totaling nearly 200 square meters near the town center of Caccamo. Besides the ground floor used as a storeroom and needs refurbishment, the rest of the property is totaly livable. On part of the top floor there is a 10 square meter covered verandah having nice views of the local forest and mountains. 1 10 Square meter covered terrace.